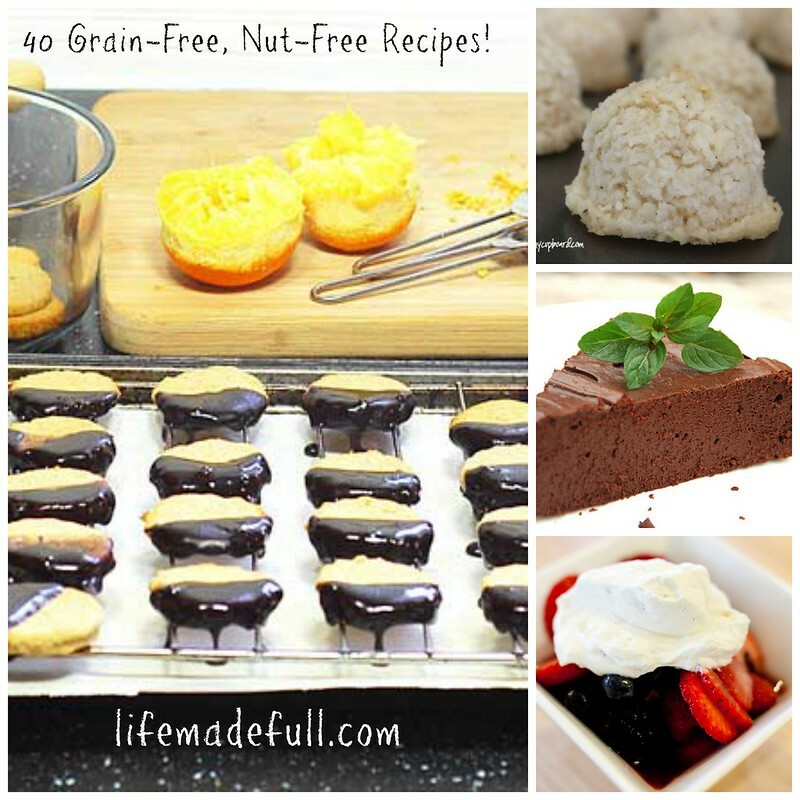 I get a lot of e-mails from people looking for nut-free desserts because they have nut allergies in their homes. I don’t have much experience with baking grain-free outside of almond flour, so I thought I’d put together a list of grain-free, nut-free recipes to make it easier to experiment! Here are more than 40 recipes for your perusal! *A food processor or high-quality blender works great for some of these recipes! *This is my favorite baking sheet! *This Wilton muffin pan has amazing ratings and is less than $7!